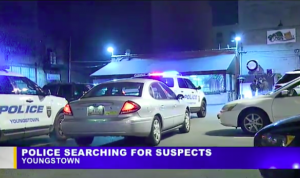 A man was reportedly shot and injured in the parking lot “outside of the Circle Hookah and Bar and O’Donold’s Irish Pub and Grille” Friday morning, December 8, 2017, per WKBN 27 reports. Gunfire apparently erupted in the Downtown Circle parking lot following an argument. Vindy.com reports, “a disturbance broke out and a man, who said he didn’t know the men fighting, was shot in the hand.” Police are allegedly now searching for 3 persons of interest. Parking lot and restaurant patrons have a right to feel safe and secure while on the premises. The Murray Law Firm questions the level of security provided on the property and whether this shooting may have been prevented. Were any efforts made to safely and separately remove all those involved in the initial dispute from property, prior to an escalation to violence? What security measures, such as bright lighting, surveillance cameras, and security patrols, were in place at the time of the shooting? Generally, property owners are required to protect all those legally on the premises from any foreseeable harm. Should the facts of this matter reveal that the property owners in this circumstance failed to provide adequate security to protect those on its premises, the victim may seek justice and elect to pursue legal claims for his injuries.